Unparalled in depth and authority, this treatise offers the most complete, up-to-date treatment of Article 9 available. A True Leader in the Field of Article 9 Practice. A Detailed Look at Secured Lending. In-Depth Analysis of Multiple Areas of Secured Transaction Practice. 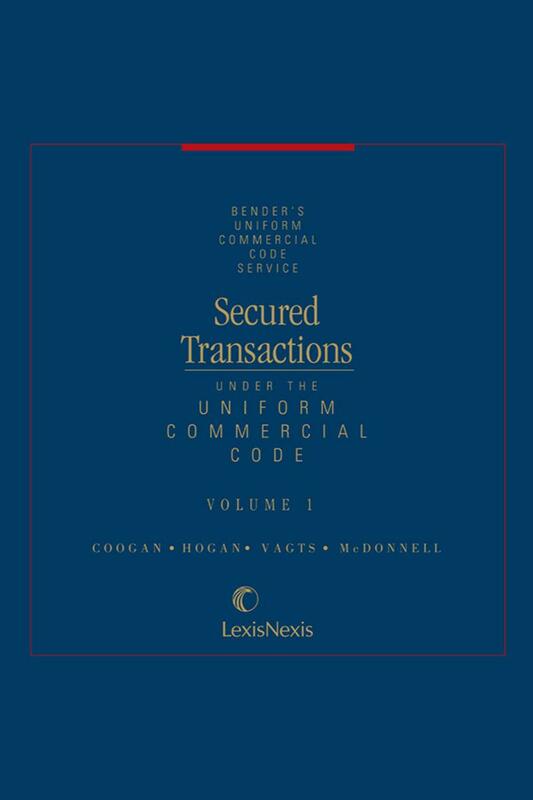 Secured Transactions Under the UCC examines every facet of secured lending, analyzing in detail difficult issues which are either glossed over or overlooked entirely in other more abbreviated treatments. Areas covered include U.C.C. 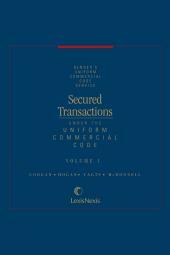 Revised Article 9, fixture financing, documentation of secured transactions, choice of laws and multistate transactions, impact of the Federal Tax Lien on secured creditors, fraudulent transfer risks in leveraged buyout lending, the impact of bank failure on the secured creditor, law of lender liability, secured lending and environmental regulation, and the impact of ERISA on secured lending. Also included is a comprehensive subject matter index and a table of cases to further simplify your research. 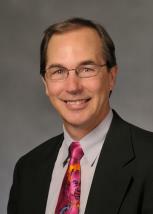 James P. Nehf is Professor of Law and Cleon H. Foust Fellow at the Indiana University Robert H. McKinney School of Law. Before joining the Indiana faculty, he was a partner in a law firm in Washington, D.C., and clerked for the Hon. Phyllis A. Kravitch on the Eleventh Circuit Court of Appeals. Prof. Nehf has been teaching Secured Transactions, Commercial Paper, Contracts, and Consumer Law at Indiana and other law schools for more than twenty years. He speaks frequently on contract law, the Uniform Commercial Code, consumer finance, and information privacy and serves on the Executive Board of the International Consumer Law Association. He was the inaugural director of the European Law Program at Indiana University and has held several university administrative positions, including a term as director of the Indiana University Center on Southeast Asia. He is the principle author and editor of a leading commercial law treatise, Secured Transactions Under the Uniform Commercial Code, the author of a revised edition of Corbin on Contracts (Impossibility), the author of a book on privacy law and policy, Open Book: The Failed Promise of Information Privacy in America, and numerous other book chapters and articles on commercial law, consumer finance, privacy law, lowincome consumer transactions, and international/comparative law subjects. He also serves on the editorial board for the Markets and Law Series at Ashgate Publishing. 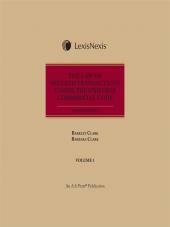 CHAPTER 4 Creditor Strategies Under Revised Article 9: What Limits Will the Courts Impose? CHAPTER 7 The Super-Charged Floating Lien of Revised Article 9: Has It Propelled Us to Finance Nirvana? CHAPTER 9A The Notorious Hanging Paragraph: What Happens to Secured Claims in Chapter 13 Now? 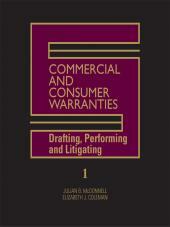 CHAPTER 33 Consignments Under the Pre-Revision and Revised U.C.C. CHAPTER 36 Repos And The Revised U.C.C.